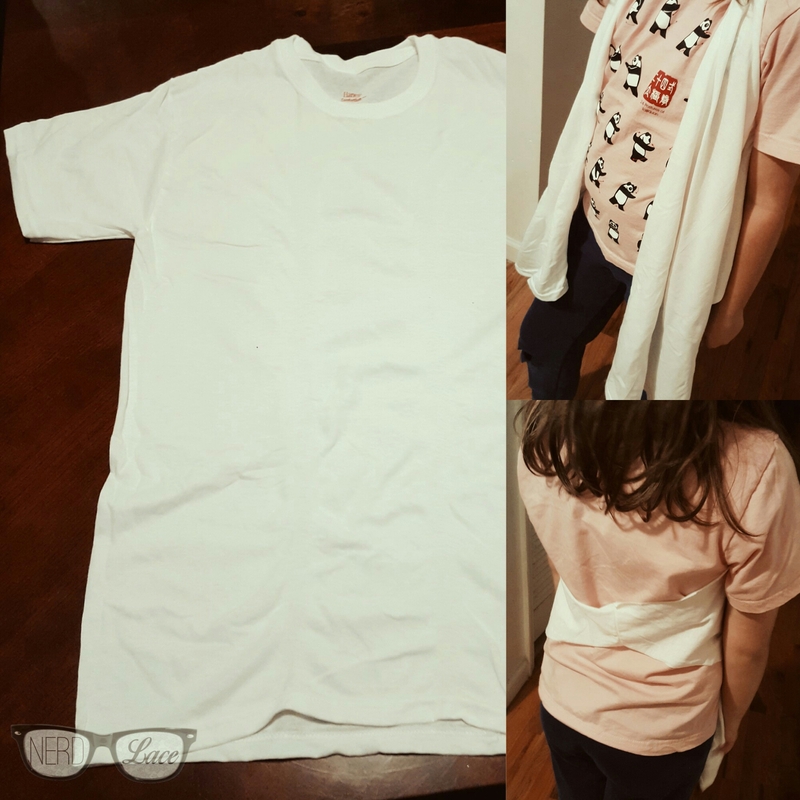 DIY: How to turn your old shirts into a vest! I have all these t-shirts laying around that I never use any more. I don’t like they way most look on me. But they are cool shirts and I don’t want to get rid of them. So I took my research to, where else, Pinterest. I found this super easy, and super chic tutorial, from WobiSobi, and I wanted to share with you. She turned this regular plain ole shirt into this vest in less than a few minutes. It was so easy y’all. 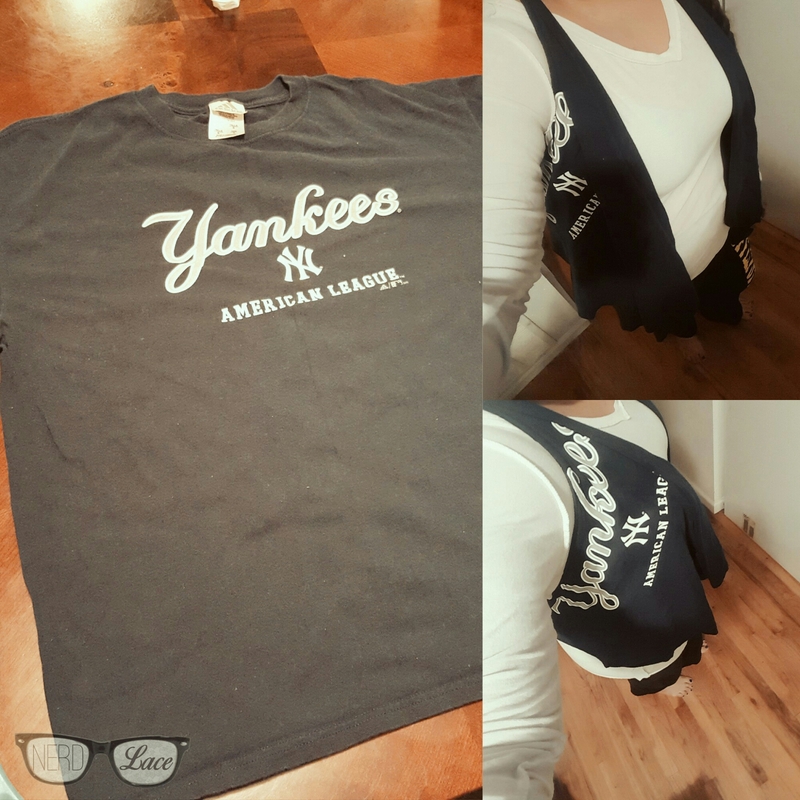 And now I have a super chic, one of a kind, NY Yankees vest. I’ll look fabulous at the next Yankees game I attend. My goal is to re-purpose all these shirts I have hidden in my drawers. So I am going to try really hard to find simple and easy tutorial like this one and share my results with you. If you have any good tutorials for me to try, share them below or by using the hashtag #nerdandlace on social media. Its layer season so why not repurpose clothes you no longer use? Plus you could also wear it as as a scarf.